Set on the lower floor of The Ritz-Carlton, Dubai, Splendido is an authentic Italian restaurant that has been with the hotel since its opening in 1998, which is extremely impressive in a city like Dubai where the majority of restaurants haven’t yet reached their tenth anniversary. Boasting beautiful dark wood, regal-like interiors, Splendido provides both indoor and outdoor seating. 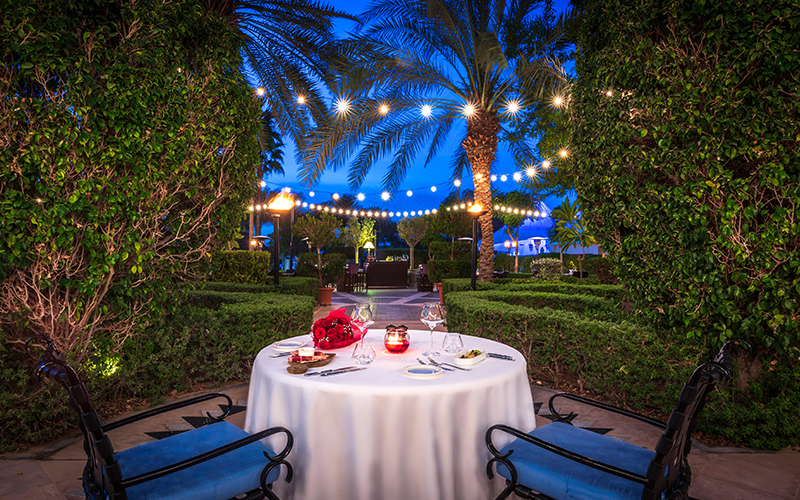 Making the most of the fabulous UAE winter weather, we opted to sit outside on the romantically-lit terrace which overflows into the property’s sprawling, luscious gardens that lead onto the beach. The intimate setting is accompanied by tastefully selected music, which ensures you’re not able to hear the conversations of others sat nearby. Sat under the stars on the Tuscan-style terrace that mimics the feel of a traditional Italian piazza, I realise we’re in for a treat. What are the food highlights? Led by Italian Chef Francesco, the kitchen prides itself on using only the freshest, Italian-sourced ingredients. To start, the bruschetta al salmone is a delight to eat, served on toasted rye bread, lathered with citrus ricotta and topped with home-cured salmon that offered a wonderful smoky flavour. The vitello tonnato also impressed and featured generous slices of slow-cooked veal on a bed of tuna sauce and capers. Next, we enjoyed one of the most delicious risottos I’ve ever tried (we later learn that Chef Francesco won an international culinary award for Dubai for having ‘the best risotto’, and I now understand why). The risotto we had exuded creaminess and paired superbly with muscles, clams and lemon – the perfect consistency and flavour-busting dish was perfect. 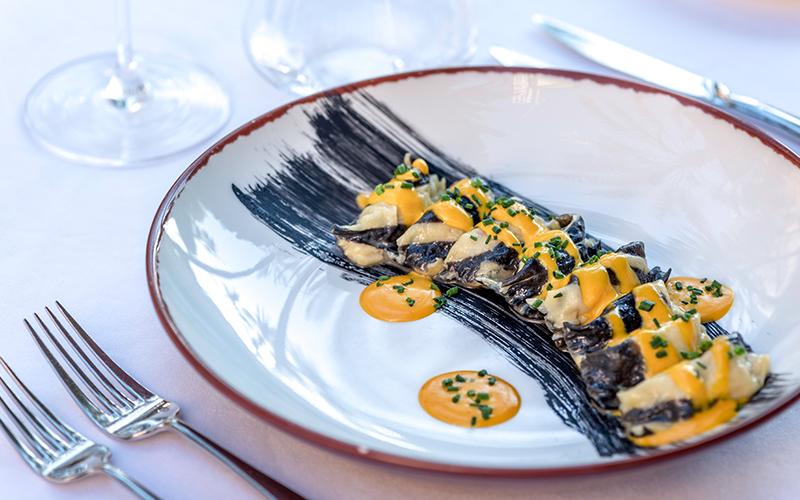 A close contender was the homemade squid ink agnolotti pasta, which was filled with succulent bites of crab in a saffron sauce with chives. For dessert, Chef Francesco uses his grandmother’s recipe for the tiramisu served at the restaurant, which was absolutely delicious and featured generous layers of mascarpone, making it extra creamy. Service at Splendido can not be faulted. Sophisticated and extremely professional, the front of house team were always on hand to ensure our dining experience was comfortable and we were enjoying ourselves. Ocean-facing Splendido transports you away from the hustle and bustle of city life and it’s a fantastic place to visit for a special evening with your other half. For Valentine’s Day, the culinary team are set to serve a specially crafted ‘San Valentino’ menu from February 13 – 16, 2019, daily from 6pm to 11pm. Featuring decadent delights such as lobster carpaccio, guinea fowl with foie gras, tempura oyster and chocolate pizza, accompanied with paired beverages, the Valentine’s menu is priced at AED 820 per couple inclusive of five-course Italian set menu with an Aperitif and soft beverages, or AED 1,100 per couple inclusive of five-course Italian set menu, soft beverages and a bottle of Italian beverage. Another ongoing offer to watch out for at Splendido is the weekly Aperifif offer that takes place on Wednesdays from 5pm to 7pm. 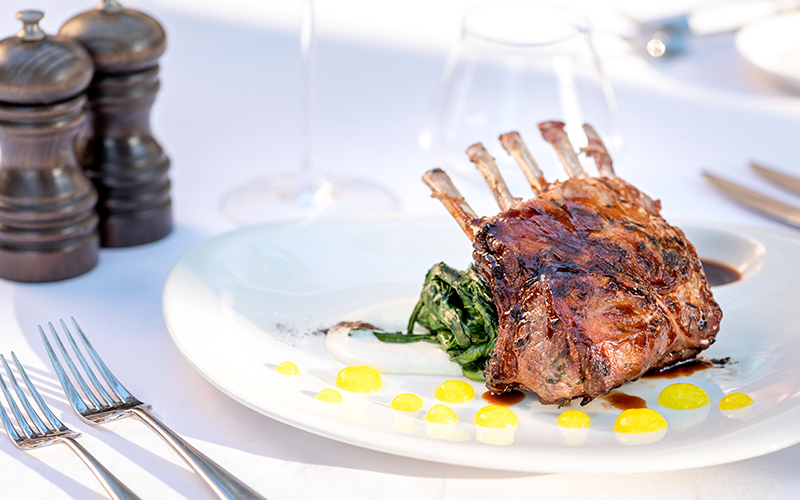 Every month, set off on an escapade to explore Italy as Chef Francesco showcases traditional dishes and Aperitif from different regions of the country. Priced at AED 100 inclusive of six canapes and one beverage. Want to go? For more information or to make a reservation, call +971 4 399 4000. For more Valentine’s inspiration, check out our ultimate guide to Valentine’s Day in Dubai here.